If we did indeed have “scores of writers” from Jesus’ time with such an interest in Jesus’ region and who wrote about “failed Messiahs” then it would certainly be very strange that we have no contemporary mentions of Jesus. It is very clear from reading Nailed that DF is actually arguing that there are many writers, both Jewish and non-Jewish, whom we can expect to have made some notice of Jesus and the early Christians, and that some of these did mention other “failed Messiahs”. TO has chosen to ignore the clear argument of DF as expressed throughout Nailed in preference for the trick of making the most out of DF’s poor wording that do allow for the possibility of one interpretation being that he at one point meant to say “scores of writers” wrote about failed Palestinian Messiahs. Of course we don’t have scores of writers addressing those people. And it is very clear from DF’s larger argument that he did not mean that. When someone plays with semantics in preference to grasping and addressing the clearly intended and demonstrable core argument of a work, then one has every right, in my opinion, to assume one is dealing with a manipulator seeking for opportunity to pounce, not with anyone genuinely interested in serious and honest discussion. Strangely, he never tells us who these “scores of writers” with this interest in Jewish Messiahs are, which is very odd. As it happens, we have precisely one writer who mentions any figures who might be seen as “failed Messiahs”, and that is the Jewish historian Flavius Josephus. Tim is emphatic and he repeats the charge in later posts: he will have readers believe him when he says “we have precisely one writer who mentions any figures who might be seen as “failed Messiahs”. That is false. It is wrong. It demonstrates an ignorance one would not expect from someone who boasts of superior competence with historical sources and ridicules those who are not. In addition to Josephus we also have Dio Cassius writing about the capture and execution of Simon Bar Giora (Bargiora), messianic pretender and leader of the Jewish rebellion. We also have Tacitus in his Histories, book 5, speaking of a Jewish prophecy (would TO admit a Roman historian having an interest in failed Jewish prophecies let alone failed messiahs?) 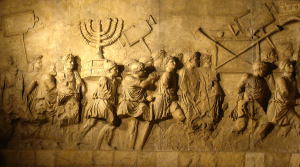 that encouraged Jews to believe a Messiah to rule the world would arise from their ranks. Tacitus also mentions not only Simon Bar Giora but an earlier Simon, one who arose at the death of Herod, who was also a messianic claimant. Tacitus also mention other leaders of the Jewish rebellion, Bar Goria’s co-ruler, John of Giscala (though Tacitus mistakenly assigns the Bar Giora name to John) and Eleazar. I should be astonished that even an associate professor who describes himself as an historian actually commended TO’s article for its “detailed” treatment of DF’s book. Surely an associate professor and theologian would know his historical sources and have advised TO of his error. Apart from Josephus, no writer so much as gives them [messianic pretenders other than those mentioned above by Dio Cassius and Tacitus] a sentence’s worth of attention. So somehow Fitzgerald thinks these minor events in the Jesus story should be mentioned when far bigger, more significant events are not. Except that TO was clearly ignorant of the fact that Roman historians did in fact mention other failed messianic pretenders. Of course we see again here TO’s impatience with DF intentionally writing for the majority of people who do believe the Gospel account of Jesus or that the Gospel narrative represents the historical Jesus. TO does not believe DF had any right to do that. He should have restricted his discussion entirely to those who do not believe in the Gospel Jesus, TO insists. And even here TO falls into the confusion of which he accuses DF. He blames DF for not being clear whether his is talking about the Gospel Jesus or another type of Jesus who is a far more modest construct of scholars. DF is in fact pointing out that the Gospel Jesus does indeed do much greater works than later messianic pretenders. He attracts crowds from all the neighboring regions beyond Judea to follow him! No messianic pretender ever accomplished that. And as for mundane affairs in Jesus’ day in Palestine, we will also see that Tacitus and another Jewish writer inform us of details of “petty” judgements (by TO’s standards) of insignificant cases by the Roman governor Pilate. TO gets himself into an even deeper morass with flawed logic, tendentious reading, “overlooked” facts and suppression of DF’s arguments. We will continue these points and what one might expect from Greek and Roman records about Jesus in future posts. Posted on 2014-01-01 05:43:57 GMT+0000 by Neil Godfrey. This entry was posted in Uncategorized and tagged David Fitzgerald, Dio Cassius, Historicity of Jesus, Josephus, O’Neill-Fitzgerald Debate, Simon Bar Giora, Tacitus. Bookmark the permalink. Simple bit of detective work and using Josephus and ignoring the Testimonium Flavium. Has to be a rabbi, has to be at least from Galilee or somewhere close. Has to start the only new major stream of Judaism native to that century. Perhaps some small amount of biographical data that may parallel something in one of the gospels. Judas the Galilean/Gaulonite(Golan). However, it would be clear that the historical basis in NO way resembles the Christian Jesus…because he’s the founder of the Zealots. Jewish to their bootstraps, similar to the Pharisees although totally against Roman rule and Roman taxation. Yes, the same guy mentioned wrong way round in Acts 5. Half a dozen references to Judas the Galilean in Josephus versus the single reference in the Testimonium Flavium. We know that “Luke” was using a form of Josephus as a basis for Luke/Acts…we also know that in 147a.d. there was someone trying to be a Christian Josephus under the name of Hegessipus…with pretty-much forged and invented Apostle/bishop lists and swiping the original Josephus clearly on history from David to the first century. Bad distortian of what Judas the Galilean was really on about. He’d turn over in his grave to know what he got made into. The time, place and influence of Judas the Galilean is indeed intriguing. So also the names Simon and John as the rebel leaders, with Simon being the one to suffer the early execution. The difficulty is in locating any evidence to support a link to the Gospel narratives. Neil, locating evidence supporting a link to the Gospel narratives isn’t so much important as seeing the Judas the Galilean bio as where one could get some basic material to “literalize” a Gospel story that might have previously been merely allegory. Considering the fact the Judas-the-Galilean Fourth Philosophy/Zealots were one of TWO groups never mentioned in the NT…I’d still see the Essenes as more where “Christianity” originally called Chrestianity might have sprung from. And I’d tie the Essenes into the same faction as Dosithean Samaritans and the Markan sects associated with the earliest Alexandrian Gnostic Christians and before them, Philo. In the case of Judas the Galilean I have never been sure why he seems to be generally interpreted as leading a military or violent kind of rebellion. I don’t think (only reading the English translations of Josephus) that Josephus actually says that. Indeed, Josephus calls him a “sophist”, if I recall. I have troubles with Bilde’s interpretations at several levels, but nonetheless it is worth sharing and contemplating when wondering about the coincidence of Judas the Galilean appearing as the founder of a fourth “philosophy”, the supposed time of Jesus, etc. There are some interesting traces of Judas the Galilean in gospel accounts…another one being the common point of the census of Quirinus. I can remember how many times I’d read Josephus and keep passing references to Judas the Galilean because I was still thinking in terms of the 4-gospel idea. It wasn’t until I looked at just the key points of Judas that it finally sunk in. I somehow doubt the founder of the Zealots would call himself God. Or even let anyone. “These men agree in all other things with the Pharisaic notions; but they have an inviolable attachment to liberty, and say that God is to be their only Ruler and Lord. They also do not value dying any kinds of death, nor indeed do they heed the deaths of their relations and friends, nor can any such fear make them call any man Lord…” – Antiquities 18.23. See also Acts 23:9 and Acts 28:17-31. Paul obviously persuades many Jews, to the point that he is able to live freely for 2 years, coming and going as he pleases and preaching as much as he wants. With regard to Judas the Galilean (a synonym may be “Theudas”), his son or perhaps grandson Menahem was indeed a messianic claimant, entering Jerusalem as a king and capturing the governor’s palace. After he had the high priest executed, he was the sole leader of his revolt. As he dressed in royal garments, outfitted his closest followers in armor as his guard, and openly worshiped in the Temple, it is easy to see that he presented himself as a messiah. Alas, too many enemies in high places made his rulership short-lived. livius.org has good information on them all as well as other messianic claimants. Summary: Judas the Galilean’s movement spawned at least one messiah (his (grand)son Menahem) and probably two (Judas the Galilean himself as well) – it clearly lasted several generations. I concur that the founder of the Zealots would never presume to refer to himself as “God.” How obnoxious! Perhaps too the greatest irony of the statement about Judas the Galilean in Acts 5 (which is now looking highly anachronistic) saying how he’d failed and that his followers had long since dispersed. Well, that was very true by the mid-late second century…impossible for it to be said by Gameliel in the mid-first, however…as the Zealots were known right up to Masada after 70a.d. and even existing to the period of the Bar Kockba revolt. That would make Acts 5 as being written after 135a.d. Are you familiar with Hermann Detering’s theory that the Synoptic Apocalypse portion of the Synoptic Gospels (at least) was written with the Bar Kochba Revolt in view, either during or right after? He makes a compelling case: “The Synoptic Apocalypse and the Dating of the Synoptic Gospels” at radikalkritik. Let’s face it – the only reason most biblical scholars have settled on a 70 CE timeframe for the earliest gospel (Mark)’s composition is that that’s the earliest we’ll now let them get away with. Since we don’t accept prophecy per se – if something that is described as “prophecy” contains details that are TOO specific, it’s actually a postdiction, meaning it was written after the events in question (hence the accuracy of detail) – and some have pointed to the destruction of the 2nd Temple in 70 CE as being described in the Synoptics, we are to believe that Mark’s gospel was penned even as the final stone of the 2nd Temple was rolling across the ground before coming to rest. Before about 50 or 60 years ago, most biblical scholars were fond of claiming that Mark had been written very soon after the supposed death of the supposed Jesus (perhaps only a few months later! ), evidence that the Gospels were both actual historical accounts AND that they were written by eye witnesses to the events in question. Biblical scholars, who tend overwhelmingly to be believing Christians who feel the Jesus being described is their actual real-life savior and bestest friend (despite not existing in any sense that anything else that exists exists), have fought tooth and nail to keep this terminas a quo within a timeframe where eye witnesses can plausibly be claimed. Move 100 years from the supposed death of the supposed Jesus, and who can they claim as an eye witness by that late date? Methuselah?? Little Apocalypse and the Bar Kochba Revolt. The fact that the remaining Jews were actually *banished* from Judaea (renamed Palestinia) makes the close of the Bar Kochba Revolt the truest beginning of the Jewish Diaspora, unparalleled by any earlier events. This was when the Jews were forcibly driven out, as compared to anything earlier, in which Jews might have chosen to leave for various good reasons. Thus, the end of the Bar Kochba Revolt was the beginning of the Jewish Diaspora in earnest. Blanche, I think I’d go with Mark NOT writing BEFORE the destruction of the temple. And I’d go with Mark being the only gospel for quite some time and NOT as the Church has necessarily made it. Perhaps the fact there’s a Samaritan Marqe who wrote the liturgical document Memer Marqeh that gives a huge clue Mark was bigger than Rome ever made him out to be. And even Celsus tells us that initially there was only one gospel. By the time Celsus wrote, it seemed to have been quite an industry, different groups making their own single gospel. But if Mark/Marqe was so important to the Samaritans at the time…that would still go more with the idea of a Mark who was a “christ” or prophet greater than Moses. Seems some ancient sources also ascribed the letters of Paul originally to Mark. Weirdly, although the Samaritans have the Memer Marqeh document…they have no cultural or historical memory of who the heck he was. That’s an interesting independent attestation to the Markan gospel, anyway. Since the Temple was destroyed in CE 70 and the Bar Kochba Revolt wasn’t until 132-135 CE and THAT is the timeframe Detering has identified for the Synoptic Apocalypse, I think you’ll find a lot to like in Detering’s article (mentioned earlier). From your sentence above, I get the impression that you thought I was championing a timeframe for Mark a la Evangelical Christian apologists, within, what, days or whatever of the supposed Jesus’s supposed death – and nothing could be further from the truth. If I have misunderstood you, my apologies! I’ll look into that – thanks for the tip! Excerpt: “As one can see from the last row which we have added here to Henderson’s columns all (!) these verses correspond with verses that are attested for the Gospel of Marcion. Conversely, and this is as important as the positive evidence, without exception the literal parallelism between the five witnesses stops where Marcion’s text is inexistent. The same cannot be said for either Mark, Luke, Matthew or John. When Marcion is missing, there are at best the one or the other of these witnesses parallel to each other (as, for example, in G(ospel of) P(eter) 1:1 and Matth. 27:24, or GP 1:5 and John 19:31a). This is even true for the relation between GP and Luke. A marvellous example is GP 4:13 and Luke 23:39-43. In this case, we know from Epiph., Pan. 42.11.6(72) that the last verse is certainly missing in Marcion’s Gospel, but also the immediate verses before are not attested for it, unsurprisingly, there is nothing but a faint relation between Luke and GP, and, correctly, none of the other witnesses is listed by Henderson. It appears that Paul was held to be a messiah in his own right by some, at least. “on that day when, according to my gospel, God judges the secrets of men by Christ Jesus.” Romans 2:16, “Now to him who is able to establish you in accordance with my gospel, the message I proclaim about Jesus Christ, in keeping with the revelation of the mystery hidden for long ages past” Romans 16:25, and best of all, “Be ye followers of me, even as I also am of Christ. Now I praise you, brethren, that ye remember me in all things, and keep the ordinances, as I delivered them to you.” – 1 Cor 11:1-2. Ah, the Samaritans. They make these odd appearances in the Gospels, in the parable of the Good Samaritan, most Christians’ favorite parable, even though the conclusion, “Go thou and do likewise” says *nothing* of “faith” for the “faith not works” crowd, as the GS had no idea who “Jesus Christ” was – how could such a person provide any sort of meaningful example, if “faith” was so all-fired important? (I HAVE run across Christian theologians who insist that taking care of our neighbor in need is absolutely NOT the point – it’s actually *missing* the point…ugh) And in John 8:48, we see Jesus being accused of being a Samaritan – and worse: ‘The Jews answered him, “Aren’t we right in saying that you are a Samaritan and demon-possessed?”‘ I haven’t put any effort into figuring that out – too much other stuff on my plate – but the location of Samaritan territory in view of the historical politics of the area did appear intriguing…you can gain a lot of insight from looking at early maps, you know. If it’s really the same text, of course, and not just a similar name. If religion is predominantly about the teaching of ethical behaviour, which I believe that it is, it is worth considering where we derive our ethical values from. Some people will say that it is our conscience that determines what is right and wrong. Others will say that it is laws that tell us what is wrong. You can imagine, surely that Judas the Galilean would be disparaging about those who awaited a conquering Messiah, arguing that Christ is to be found in our own hearts. Indeed in the early part of Acts, the Christian community do seem early anarchists. They share everything in common and decisions are made by vote. Following the promotion of Anarchism by many intellectual leaders in the 19th century, there was a tide of violent anarchist activity across Europe and the United States that targeted people of influence. Similarly, the teachings of Judas the Galilean gave rise to the Sicarii. … another type of bandit sprang up in Jerusalem, known as the ‘Sicarii’. These men committed numerous murders in broad daylight and in the middle of the City. The problem with Anarchy is that it requires a highly optimistic opinion of human nature. Read on in Acts and you will find the nature of the Christian community changing after the famine of CE 46. There’s a perplexing passage with Peter is imprisoned and then released with the help of an Angel. After this incident the Christian community is less democratic and we are introduced to the person of James. In James letter, there is no reference to an historical Jesus Christ – but the name Jesus is derived from Joshua and in the OT, Joshua from the “Gentile” tribe of Ephraim, accompanies Moses part of the way up Mount Sinaii when he received the 10 commandments. There is evidence from the Damascus Document, one of the Dead Sea scrolls, that many Jews zealous for the Law, saw Jews and Gentiles united under a shared commitment to the Law. Surely, James has created an archetypal character, Jesus Christ (Joshua – the one to bring the Law to the Gentiles and the Messiah – our own conscience), as the personification of divine reason – a composite of conscience and Law. ….. get rid of all moral filth and the evil that is so prevalent and humbly accept the word planted in you, which can save you. Christianity is truly beautiful but it is evident to me that Jesus Christ did not exist. It was of course Judas Iscariot, thought by some to be Judas “of the Sicarii”, who betrayed Jesus. You state it as if it really happened or something! LOL! While we’re on the subject of What’s in a Name, let us remember that the vile murderer/thief/traitor Barabbas, whom those murderous betrayer Jews chose over the sinless, holy, noble, virtuous, and all-around-better-than-anyone-EVAR Jesus. This nasty piece of work started out with a first name – Jesus! You can see why conscientious and truly beautiful Christian editors took it upon themselves to erase Jesus Barabbas’ first name from the canon. And his last name, “Barabbas” or “Bar Abbas”, means “son of the Father.” Remember Jesus praying “Abba, Father” here and there throughout the Gospels? Same word. So imagine – at one point, Pilate had in his jail, at the same time, Jesus the Son of the Father AND Jesus the Son of God! How do you suppose he managed to tell them apart?? Why would you arrive at that conclusion? There’s nothing in the excerpt you quoted that could possibly lead unquestioningly to the conclusion you provide. I would say the opposite, in fact. And Judas the Galilean would have had no conception of the Christian definition of “Christ”. What I’ve learned of anarchism has impressed me, but I’m not seeing its noble perspective anywhere in the Bible or in the Church. “For whoever keeps the whole law and yet stumbles at just one point is guilty of breaking all of it. For he who said, “You shall not commit adultery,” also said, “You shall not murder.” If you do not commit adultery but do commit murder, you have become a lawbreaker. Yet within Judaism, if someone breaks a law, he is welcome to pull himself up by his bootstraps and redouble his efforts – he is not condemned, at that moment and forever, for his “sin”. Compare that to Christianity, that condemns EVERYONE just for having been born human, all because some simpletons who didn’t know the difference between good and evil were tricked into eating a piece of fruit that had been irresponsibly left within their reach. Christianity, in fact, strips people of their most basic humanity, requiring them to accept a human sacrifice – and then EAT IT! – as the only means of escaping this screamingly unjust system that damns them from before they were even conceived and nothing they can do about it except to debase themselves into crawling, groveling, debased and dishonored creatures of shame, prostituting themselves and enthusiastically proving their absolute lack of morals or ethics in vain hope of a reward from the tyrant who set up this ridiculous and insane system in the first place. >> Why would you arrive at that conclusion? There’s nothing in the excerpt you quoted that could possibly lead unquestioningly to the conclusion you provide. I would say the opposite, in fact. And Judas the Galilean would have had no conception of the Christian definition of “Christ”. The Christ is just a Greek form of the Messiah and it was a Jewish not a Christian concept. The Messiah was the one who was to bring peace and prosperity to the whole earth and he was to be a son of David. He was also to be a political rather than a religious figure – a leader of the Jewish people who would conquer his enemies. My point is that “anarchy” is is anti-leader and egalitarian. there were no needy persons among them. For from time to time those who owned land or houses sold them, brought the money from the sales and put it at the apostles’ feet, and it was distributed to anyone who had need. >> Why anarchists and not communists? they have an inviolable attachment to liberty, and say that God is to be their only Ruler and Lord. >> where do you get the idea that decisions are made by vote? So they nominated two men: Joseph called Barsabbas (also known as Justus) and Matthias. Then they prayed, “Lord, you know everyone’s heart. Show us which of these two you have chosen to take over this apostolic ministry, which Judas left to go where he belongs.” Then they cast lots, and the lot fell to Matthias; so he was added to the eleven apostles. This proposal pleased the whole group. They chose Stephen, a man full of faith and of the Holy Spirit; also Philip, Procorus, Nicanor, Timon, Parmenas, and Nicolas from Antioch, a convert to Judaism. 6 They presented these men to the apostles, who prayed and laid their hands on them. >> Setting aside the many historical problems, contradictions, and discrepancies of Acts, what you are saying is at odds with much of the rest of the Christian corpus, including the canonical Pauline texts, which were way before Acts. I am saying that Christianity changed. There were different streams that fed into it but if there was to be one person who was the catalyst, I would say that it was Judas the Galilean – in my eyes, an anarchist. Anarchist societies do not persist. They cannot. Division is bound to surface. By the time Paul’s letters were written, the ideology of Judas had lost it’s appeal to most and Christianity was a different beast. As there were many streams that ran into Christianity in it’s first years there are many streams now. The Christianity you describe is based on encouraging people to do the right thing through fear. That theology cannot survive in the current world and it shouldn’t. More than that, I would say that it is un-Christian. Rather than read any part of ancient literature through anachronisms like anarchism and communism (and this reading then leads to a further interpretation of Acts through Western Capitalist critiques of these modern ideologies) we are on more valid grounds reading them within the conceptual frameworks of their own day. The communal life of sharing described in Acts 2 and 4 has its counterparts in contemporary ancient literature in what we would call “utopian” visions. Plato expounded on the ideal community in which all share their goods (“all things are in common”) and others spoke of past golden ages and pie-in-the-sky fanciful ideal worlds where all are equal. Anarchist and socialist and various religious communes are all ultimately inspired by similar utopian visions. But it is a mistake to confuse “utopian” visions in Acts with any specific modern ideologies that have also been inspired by similar universal ideals. The vision in Acts is a literary fantasy as much as were the idealistic visions of all Israel being of one mind at various points under Moses and Judges and Solomon, etc. or of the pre-fall Garden of Eden. Those are post-marcionite forgeries and interpolations into prior texts. They are in absolutely no way reprersentative of any “Paul”, regardless of what naive scholars like Ehrman try to force mankind to believe. Interestingly, Tim O’Neill claims we can dismiss the reference to ‘Christ’ in Antiquities 18 as an obvious Christian interpolation, but he still claims that Antiquities 20 refers to Jesus called the Christ, although he himself has now removed that alleged back-reference from Josephus. How did Josephus in Ant. 20 manage to refer back to an ‘obvious Christian interpolation’ in Ant. 18? So Josephus managed to refer back to something that was not written for another 150 years! Clever! And managed to copy a bit of Matthew 1:16 while doing so. Very clever…. Out of curiosity, how does O’Neill know who set the date to let Christian scribes know they can start doctoring texts? Did the manuscripts of Josephus come with a label saying ‘Do not change for 150 years’? You mean, a 147 a.d. “churchman” named Hegessipus isn’t a dead-giveaway? Say Ha-Josephus three times fast till it blurs through as Hegessipus. Not only could copies of the Jewish Wars be interpolated to add a Testimonium Flavium and a reference to a John the Baptist…but it could get a massive rewrite and have fictional Jerusalem and Roman bishops lists added and turned into, separately, the writing of Hegessipus. I’m guessing John the Baptist wasn’t in the originals of Josephus because a people who would provide an INDEPENDENT validation of his existence, since he’s supposed to have worked in and was buried in their territory have NO idea at all of what Christians know about him…and no special reason to back rabbinical testimony that they can’t find the baptist at all in rabbinical literature. In fact, it’s real weird to now know John the Baptist was working in Samaria, was buried at Sebaste…was even associated in the Pseudo-Clemantines with Dositheos, but there is no record of him in any Samaritan history. On the other hand, they have a Mark/Marqe who at least left them a liturgy. The Memer Marqe is one of their key documents even if they don’t remember any more who the heck he was. Are there any other references to John the Baptist? What of Hanan the Hidden? Hanan the Wise? Honi the Circle Maker/Circle Drawer? All potential variants on Jochanan (“John”). The Mandaeans, a small and ancient sect still extant somewhere in Iran (if memory serves) hold that J the B was the messiah, and the Christian Jesus a filthy liar pretender, to paraphrase. It seems to me I’ve run across the problem of a scanty Josephus reference to J the B being the only near-contemporary mention, which is in itself as problematic as the Josephus references peculiarly mentioning the Christian Jesus. Is there anything meatier? Mandeans’ timeframe allows for some trace from the Christian material that had John the Baptist…but I won’t go for that being from the first century. By the time there’s starting to be John the Baptist appearing in some variants of the Gospel, then after that some groups will start to have him as one of their saints. But was he in the Markan original? If we go by the Marcionite/Markan sects as having a pre-Luke, minus the infancy narrative and minus John the Baptists, with Jesus just plonking down full-grown in Capernaum…then technically John wouldn’t have needed to even be part of the story. Blanche, from the looks of things we can’t always assume current canonical Mark WAS the original Markan gospel. Problem with Josephus is all copies we have pass through the hands of the Church in real terms…and I’m greatly intrigued by this Hegessipus angle where someone in the mid-second century tries to be a Christian Josephus. You’d think the Samaritans would have something of John the Baptist remaining in their culture…but we only have Memar Marqeh. What IS known of Samaritan culture and history apart from this is there was a section of them once called Dositheans (no longer existing). That remains even if we consider the Pseudo-Clementines to be fiction. So in the remaining Samaritan culture (there’s only 700 Samaritans left), we have a Mark reference and document associated, but we have nothing for John the Baptist or Simon Magus, only having Dositheos as holding any reality. Marks me wonder if Simon Magus might have actually been this Marqe character. One other thing I find curious is one of the patristic writers mentions Simon Magus pointing out he was the Father in Samaria and elsewhere, but the Son in Judea. Interestingly, Simon Magus is the only person other than Jesus to claim a virgin birth…anywhere near Judea or Samaria, that is, since we know they had HEAPS of virgin births in other cultures. I find the pro-Samaritan thread of even current gospels now suspiciously weird as a result. Where are you getting your Simon Magus backstory from? What do you think of the hypothesis that Simon Magus = Paul and that Paul = Marcion? The biggest parallel – the “donation” to gain entry to and approval from “the church”, which is rebuffed. Marcion supposedly approached Rome with an offer of, what, 200,000 sesterces or whatever monetary unit, which some Big Cheese in Rome (Ignatius? Irenaeus? I get them both mixed up and which one’s even real, if either?) initially accepted the “donation” in order to unite Rome with Marcion’s network, but then found their doctrinal differences too difficult to reconcile and returned the 200K to Marcion, who took it and left. Simon Magus approaches the “apostles”, who were working “miracles”, and offers them money to buy the technique of how to do the “miracles”, which the “apostles” refused – this sort of transaction now bears the name “simony”. And Paul took money from his network of churches and offered it to the Jerusalem Church, which refused it. The only rationale that makes sense to me for why John the Baptist was even included in the Gospels at all was that there was some early connection with a J the B movement that had grown to some network (along the lines of Marcion’s), which the Gospel writers sought to integrate into their ranks (strength in numbers). Thus, as the Gospels are progressively written, we see J the B’s role progressively diminishing, until by John J the B is reduced to nothing more than a cheerleader for Jesus and safely locked up before any unpleasant and theologically awkward baptisms can take place. Why, if J the B was so very very impressed with the jesus, did J the B not become his disciple himself? Why did he not order his own disciples to go on over to the jesussy ranks, if Jesus were so obviously superior etc. etc. to J the B? It makes no sense. BUT, if there WERE J the B disciples’ descendants around, the baptism/cheerleader scenarios might have been written for the purpose of demonstrating to them that their great departed master would really honestly truly have wanted them to be Christians instead. Everything associated with J the B is bizarre, especially Herod, who had J the B’s head cut off just a few weeks before, wondering if Jesus was J the B “returned from the dead.” And people saying he’s Elijah reborn and all that other nonsense – either people had VERY different perceptions of continuity than we do, or they simply meant that this person here has “assumed the mantle” of that great dead person in the sense of taking up his preaching mission in the dead guy’s place. Which of course puts the whole Jesus-returned-from-the-dead scenario under grave suspicion, especially in light of Luke’s road to Emaus scenario, where a complete stranger convinces him he’s their bestest buddy returned from the dead by virtue of talking bible at them! Beyond odd! Correction: “where a complete stranger convinces THEM”, meaning the remaining disciples – not “him” as in the second to last sentence. My bad. In a way, I see the whole Judas the traitor story as perhaps the most interesting propaganda AGAINST Judas the Galilean. Also one of the 2nd century writers is noted as going to the Holy Land to see the descendants of the Jewish Christians…but found only Jewish GNOSTIC Christians. Ones who took an allegorical view, but with a plain old human Jesus as their allegory. Blanche, Simon Magus is interesting…but outside of the Acts description of him, there’s been the Pseudo-Clementine works, which I HAVE read…and yes, Simon comes across as PAUL there. Everything Peter says to Simon in their debate could easily have been said of Paul. Even in Acts, taking away the Christian perception filter…there’s a clear TENSION there between Paul and Jerusalem. If we even go to the Pauline letters and especially Galatians, it’s clear Paul doesn’t like “super-Apostles” and that comes across as him not particularly favoring Jerusalem and really only doing his OWN thing. That’s IF we accept that a Jesus with a backstory came first. IF we consider a Gnostic-First scenario, then we have a Paul (or someone other than him) who is only concerned with a “spiritual” Jesus…and it would be the people attempting to create a back-history and birth-infancy narrative that would be the johnny-come-latelies. …two, if one actually asked the Samaritans themselves, they don’t have any cultural memory of Simon. They don’t have a cultural memory of John the Baptist. They ONLY have a document ascribed to the fourth century which may be more a first-century one, called Memar Marqeh…ascribed to one Mark son of Titus. Marqe, Marqeh, MARK. They DO have a cultural memory of the Dositheans (associated with Dositheos, who IS mentioned in the Pseudo-Clementines)…although the Dosithean faction is now long since extinct (there are, after all, only 700 Samaritans in the entire world at this point of the 21st century. They don’t remember EXACTLY who Marqe was, but that’s a refreshing change in this whole subject…they haven’t INVENTED any extra information, but at least kept his Memar Marqeh liturgical information. Blanche, it may well be that “heresies” were first. If so, there’s something to consider about them thinking that Acts, the Pastoral epistles and LUKE especially were not exactly part of anything originally in the subject. I tend to look at a “heresies” first view, because if Judas the Galilean provides the ONLY near-biographical detail, as a zealot he can’t be “Jesus” and that leaves us more with the Essene faction and their allegorical “messiah” as a natural progression to the Marcionites. Also since Alexandria always figures more with the Essenes and Theraputae and even Dositheans…if they claim Mark as their founding apostle, I find it interesting who the major “Christians” are coming out of Alexandria till the late-second century…because they’re Gnostic.